Good cookware is an essential part of healthy cooking. Therefore, it is important to know the best cooking metal for your kitchen. However, although we do use stainless steel, cast iron and aluminium utensils, we essentially forget one of the ancient metals that have been cherished for over 9000 years – Copper! Cooking with Copper Cookware is Health Beneficial as they are loaded with excellent material properties. Our ancestors knew long before us! Copper is naturally produced in our body in small traces and is extremely vital for healthy brain and liver functioning. Our ancient culinary tradition used copper and its alloys to cook food as they were aware of the Health Benefits of Copper Cookware. Overtime steel replaced copper utensils and today, these ancient pots are only bought for serving and decoration. Copper is a ductile metal that makes it a very good thermal and electrical conductor. The metal is durable, hygienic and corrosion resistant. 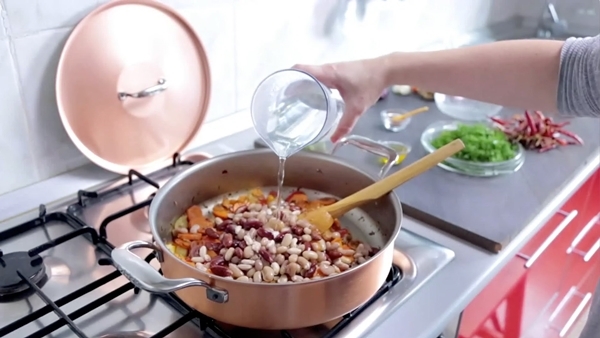 Unlike cooking in other metals, heat spreads evenly and dispenses accurately in copper pans. Copper conducts heat five times better than iron and 20 times more than stainless steel, which also eliminates the danger of scorching. Since the temperature is regulated more easily, cooking with copper cookware consumes less energy. Copper also has Antibacterial properties!! Copper transmits energy which makes it an effective antibacterial component. Storing food in copper vessels, especially water, is an essential narrative in Ayurvedic Science. Copper kills harmful bacteria (E-Coli), which cause food poisoning. Research states that E-Coli bacteria can survive for 34 days in stainless steel vessels whereas copper (in 20° C) kills those bacteria in 4 hours. For this reason alone, you will notice most hospitals’ door handles and knobs and water pipes are often made out of copper. The transmission of germs can be relatively avoided by doing so. 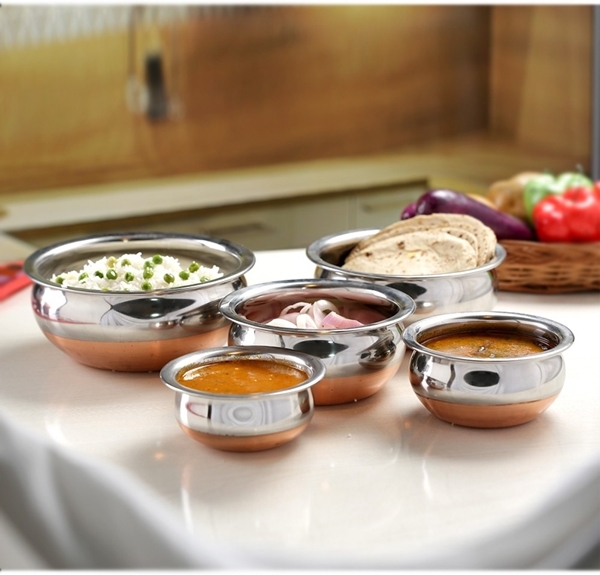 Reasons Why Should We Include Copper Cookware In Kitchen! Since time immemorial, we have heard that drinking water from copper pot is best for your body. Here are facts that support this Ayurveda Science revelation. Storing water in copper pots develops natural purification process. It has the effective properties to kill fungus, molds, micro-organisms, algae and bacteria present in water. Water stored in copper vessel, overnight, creates amazing health benefits as our body requires certain amount of the metal to neutralise toxins. This essential mineral also contains Antimicrobial, Antioxidant and Anti-Inflammatory Properties. Unlike some nutritional elements, you need to obtain copper from dietary sources as our body is not functioned to synthesise it. Few of these dietary sources include seafood, wheat, seeds, chocolates, potatoes, cereals, peas etc. But drinking 2-3 glasses of water from copper vessel is a simple way to supply enough copper content in body. Copper helps our body to break down fats and fine tune our digestive system, resulting in quick Weigh Loss. 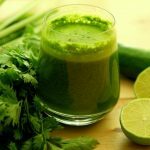 Improves liver and kidney regulation, cleanses and detoxes stomach, ensures proper absorption of nutrients and is a great remedy for ulcer, indigestion and stomach infections. Copper regulates blood pressure, beats hypertension and also help lower bad cholesterol and triglyceride level. Aids in the production of new cells, thus helps in healing wounds both externally and wounds within the system. Copper combats free radicals effectively. Its anti-oxidant and cell-forming properties slower the process of ageing. Copper also has bone and immune system strengthening, and anti-inflammatory properties making it a perfect fighter of arthritis. 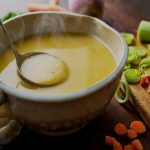 Since copper is quick in fighting off free radicals and negate their effects, it successfully contributes in stopping cancer cells development. Deficiency in copper leads to anaemia (as copper helps absorb iron in body), thyroid diseases and low production of melanin pigment. Cooking food or drinking water from cooper pots will fight off the deficiency with time. Wanna know How To Make Healthy Eating A Lifestyle Without Even Noticing? Oftentimes what we refer to as copper utensils are always not pure copper. If you want to be sure of the quality, then buy cookware that has minimum 90% of copper content. However, today most of the vessels are aluminium stainless-steel made with a thin film of copper coating, which only serves the purpose of aesthetic look. 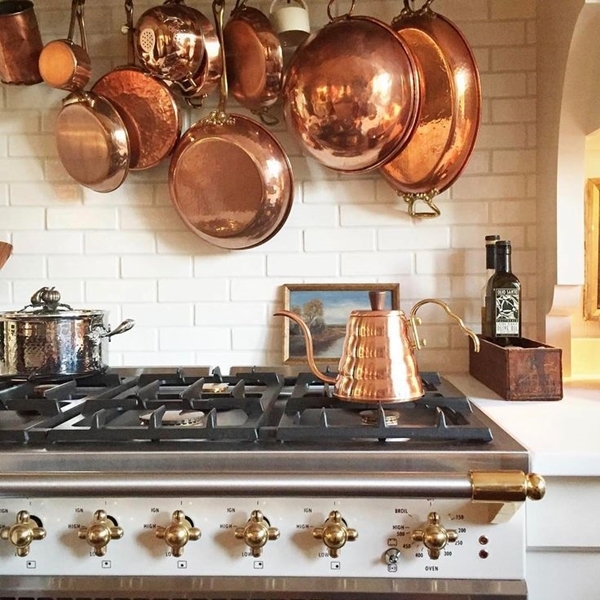 It’s not easy to replace everything into copper in your kitchen. However, there are certain things that you could change into copper. 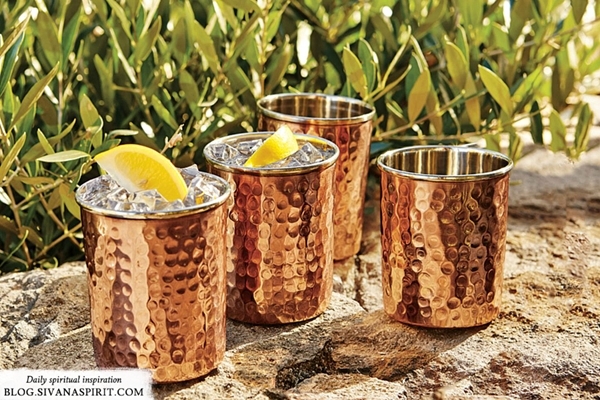 Handmade copper jugs/cans for water are quite trendy and easily available in the market. 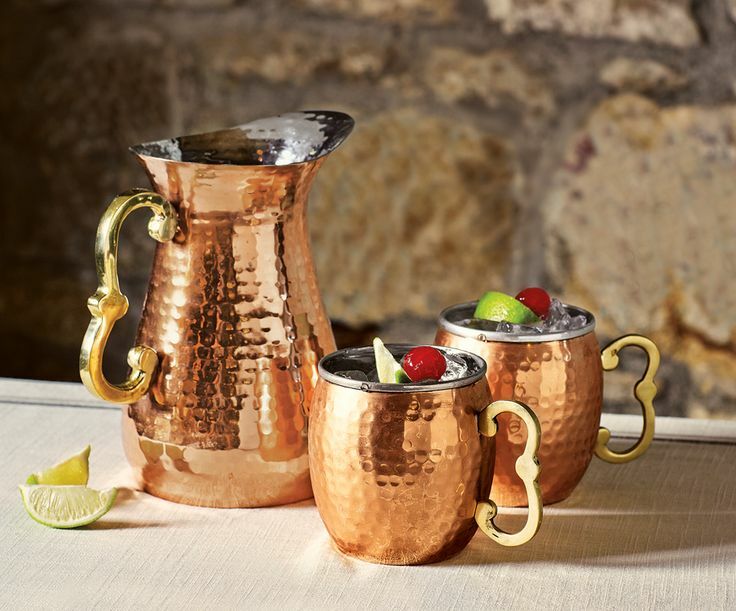 Now that you already know the benefits of drinking from copper vessels, a jug would definitely be a thumbs-up. You can also include one or two copper skillet or pan for multiple items cooking. 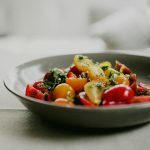 Since copper regulates heat evenly, you can easily stir-fry, sauté, simmer and deep fry in the same copper skillet or pan. Copper pots are no exception these days. They can be used for one pot meals, stews and soups. You can also use them for brewing tea and coffee. Like I said earlier, food in copper vessels stay warm longer. So you don’t have to worry about serving cold food anymore. Buy copper vessels that are minimum 2.5 mm thick, that do not have rolled edges, that have smooth finishing (instead of hammered finishing) and that are coated with thin layer of tin or stainless steel. 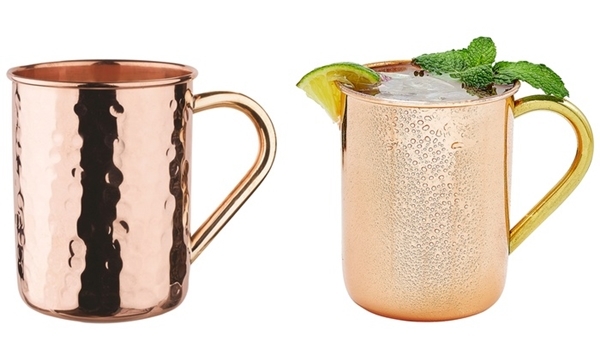 Copper vessels today are available with tin or ceramic, bare and stainless steel coating. This coating is applied to avoid direct contact between food and copper. Too much of anything in your body is not good, that includes copper as well. 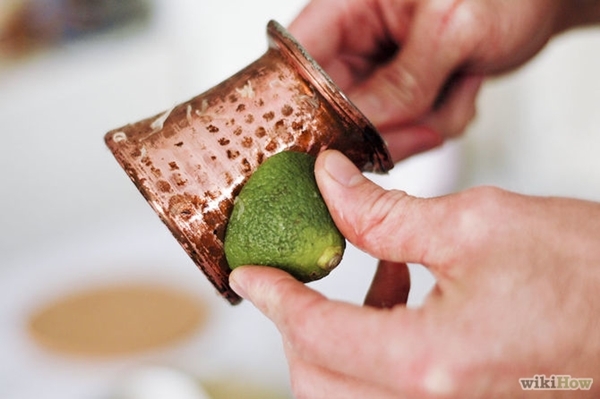 Cooking shouldn’t be done in bare copper vessels. 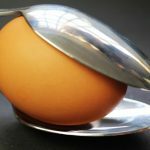 You can use them for serving, whipping eggs (they retain air quite well) or in mixing batters. Care should be taken while washing and scrubbing tin coated copper vessels as they are scratch sensitive. 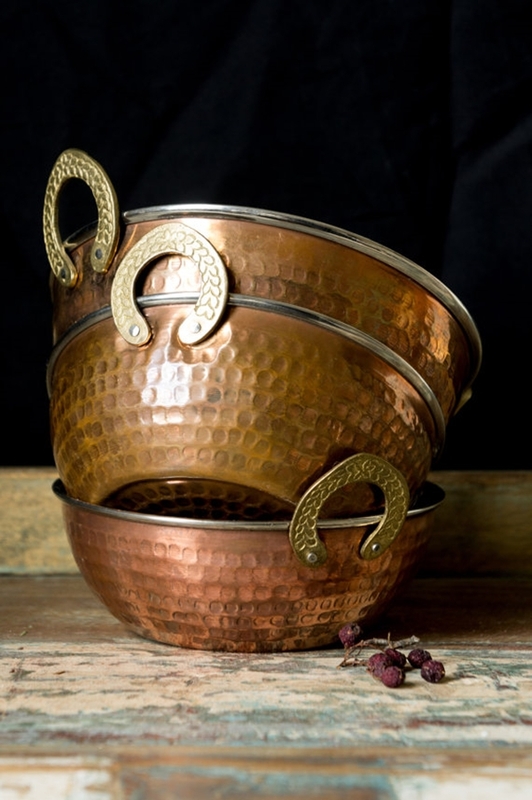 Copper are handmade vessels and they should be cleaned by following the traditional method – with soft sponge, lemon juice and fine grains of salt. Not many people are aware of the health benefits of copper cookware. Hope this article highlighted the science behind storing and cooking food in copper and was educative enough. do share if you know any other scientific facts or health benefits of copper. Happy that you liked my post. Sure, why not!